TRANSIT provides rich and vibrant room filling sound usually produced by speakers several times larger. Whether on the road or on a nightstand, its thin profile, switchblade kickstand, timeless design and highest-grade materials make TRANSIT the perfect companion for music, movies and handsfree calls on the go. Powered by cutting-edge SOEN technologies, TRANSIT produces Rich and Vibrant, room-filling sound with Deep Bass. Handsfree Calls Made Fun And Easy! SOEN Precise Talk™ technology suppresses ambient noise and enhances the vocals. Connects wirelessly with all Bluetooth enabled phones, tablets and computers. The Switchblade Kickstand opens with a simple button push, and provides incredible stability to a thin portable TRANSIT design. precision of a swiss watch. The built-in Rubber Armor and Quick Attach MagPro™ Cover provide tremendous protection against scratches, drags and dents during outdoor use. Designed for most intuitive user experience. TRANSIT marks the SOEN approach to make technology easy and delightful. Bluetooth connectivity for audio and handsfree calls. Note: Box contents of Colored TRANSITs are different. "TRANSIT delivers great design and audio performance as promised." 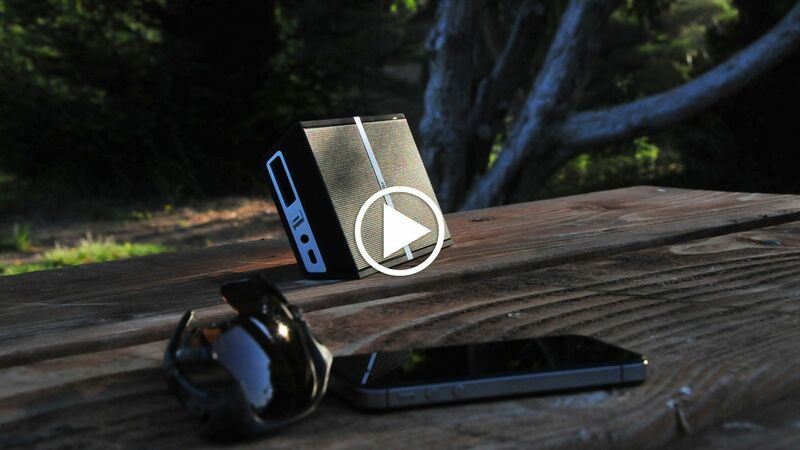 "The slickest Bluetooth speaker you've never heard of." "A striking industrial design and surprisingly rich sound."